ALPOUT, AZERBAIJAN. 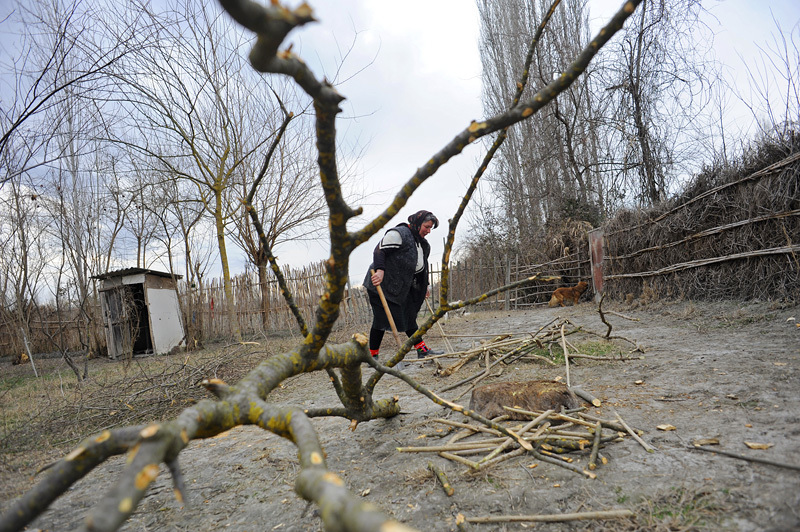 Hagane Gasimova, 47, chops wood in her backyard in Alpout, Ucar Region, Azerbaijan on March 3, 2012. Located along the Baku-Tbilisi-Ceyhan oil pipeline, Alpout no longer has gas despite the fact that it did until about five years ago and villagers are forced to resort to cutting down trees for heat and cooking; the average monthly salary in Alpout is equivalent to only a few hundred dollars and most live off their land through subsistence farming.